Want to have homebuyers knocking down your door? 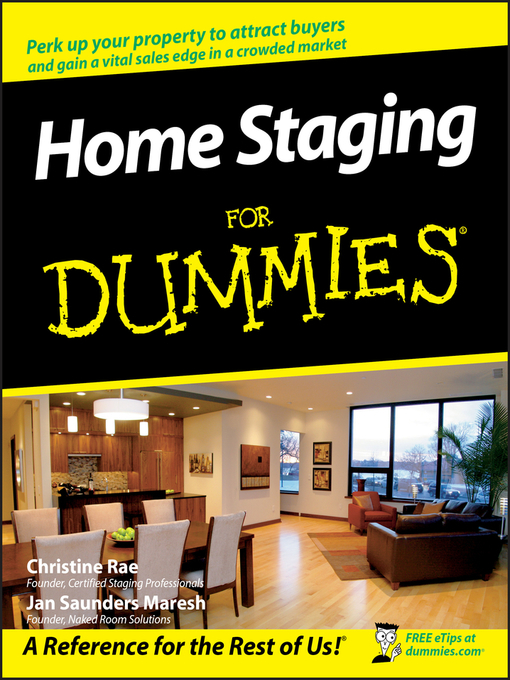 Home Staging For Dummies delivers all the secrets to making your home stand out, sell faster, and bring in more money! It shows you how to make improvements room by room and generate a higher profit in the most cost- and time-effective way. Get top dollar for your home — all you need is a little help from Home Staging For Dummies!